2cargarage | It's my job to engineer traffic…and this is my blog. It's my job to engineer traffic…and this is my blog. Is speeding an issue in your neighborhood? Don’t try signs – they never work! Speed bumps? Sure – but remember that you’ll have to drive over them at least twice a day for…like…ever. May I suggest another traffic calming solution for you? That’s right. 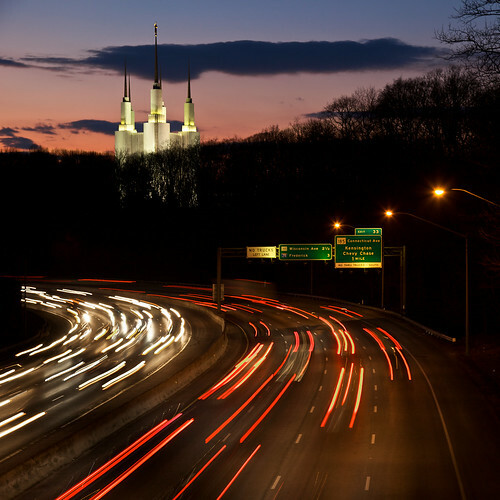 Temples and shrines are the latest and greatest in traffic calming solutions. For just $3.5 million dollars (I made that number up, if you couldn’t tell), you and your neighbors can enjoy the peace and quiet that only slow moving vehicles can provide. Up to three accidents at a particular spot and a yellow colored flag is posted. At 5 accidents they post a red color flag. If the accidents continue to take place or if any casualties take place, a mini Hindu temple is built and voila! Accidents at that particular spot seem to seize almost entirely. A topic that comes up almost daily for any traffic engineer that’s a public servant. Speeding is a very common complaint from the public. The road in question could be the ally behind someones house, the local road in front of it, the major road down a few blocks, the freeway, or the highway heading out of town….but speeding is the problem – a big problem. Boy, it’s a topic that can really get the blood boiling. But I’m guessing I don’t have to tell you that…..
People drive too fast – way too fast. The speed limit should be reduced. No, for the love of the children, the speed limit must be reduced. It makes perfect sense. I mean, if we’ve got a speed limit of 80 km/h (50 mph for my American friends) and ‘everyone’ is going over 90 km/h (55 mph), than if we reduce the speed limit to say 70 km/h (45 mph), then speeds will drop by the same difference (10 km/h (5 mph)) to the more “reasonable” 80 km/h (50 mph), right? It’s simple math. If 80=90, then 70=80. Makes sense. Makes common sense. But it’s wrong. Very wrong. Scientifically proven wrong. Study after study (they are called before and after speed studies) have shown that the actual posted speed limit (that black and white sign on the side of the road) has very little effect on actual measured operating speeds. Sometimes, the science is not enough to hold back the will to make the change. A speed limit is reduced and now you have a speed trap. And now a whole new group of people are upset. OK fine. So what does the science really tell us? Would you agree that most drivers are reasonable, law abiding, safety conscious people who are not out to get themselves or anyone else injured or killed on the road? So let’s assume that most people drive their car at a speed they feel is safe and appropriate – regardless of the speed limit – based on the environment they encounter on the road they are driving. The environment I’m talking about is the road geometry (curves and hills), the presence of pedestrians, trucks, cyclists, intersections, accesses, etc. Sure you can throw signs into that list – but judged against all that other stuff, signs just aren’t as important. And that’s what all the speed studies prove. Signs just don’t matter as much as the “visual cues” of the environment that are picked up by a driver. It’s accepted in the industry as very sound science. 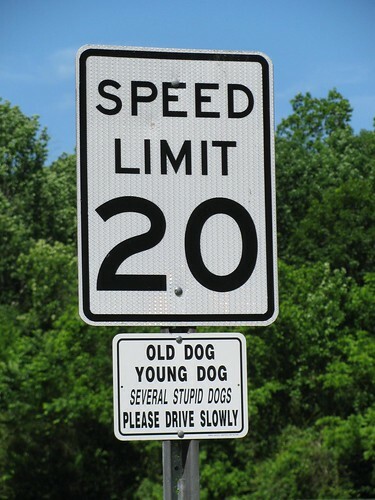 So if all that is true, then what does lowering a speed limit really do? More often then not it just makes more people brake the law. It does not slow things down and it almost always does not make things safer. It just makes more of the reasonable, law-abiding, safety conscious people get more speeding tickets. There’s more to the story of speed and speed limits, but I have to stop somewhere. I’d love to hear your thoughts on this topic. Please leave me a comment below and give me a piece of your mind. Now I’m not positive – but it’s highly likely that Tom Cruise really is the most famous traffic engineer in the world. Ever seen Mission Impossible? Ethan Hunt, Cruise’s character in the series, always has his alias occupations to cover his secret life as a spy. In MI3 the writers decided he’d be a traffic engineer with a state Department of Transportation (which happens to be exactly my job – execept I work as a traffic engineer for a province in Canada). Did you notice the fake “snore” at the end. That’s my favorite part. Apparently the writers think traffic engineering is an incredibly boring topic. Those same writers are most definitely not the target market for 2cargarage, that’s for sure. And this blog is going to prove that the topic of traffic is anything but boring. Quick! Besides Tom Cruise, name another famous traffic engineer. …..Okay….can you name any traffic engineer………. That’s right, traffic engineers are even more secretive then spy’s! Take that Tom Cruise! 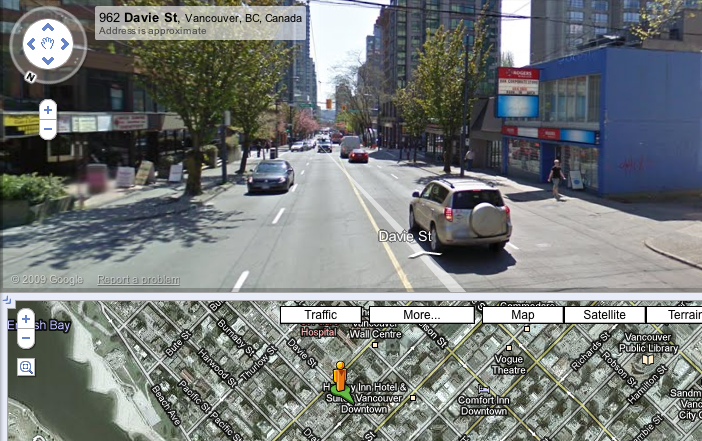 Google Street View – What’s the point? I know Google has a lot of money – a lot of money. Enough money to pay someone (or many someones) to drive all the roads of the world and take 360 degree photos every 5m or so…and develop the software to stitch the photos together and get them working with Google Earth. I know I am…but I’m a traffic engineer. When I first saw street view, I honestly thought Google’s target market was me. But there aren’t enough transportation professionals out there to justify the massive cost to put Street View all together – and then just give it away for free. Real Estate. This one makes the most sense. Moving to a new city or a new neighborhood, Street View can save you lots of time and money by showing you the “curb appeal” of your potential new home. “Anonymous” answers the question of Street View – What’s the point? It gives the googlegeeks some idea of what Outside looks like. Blue. No yel– Auuuuuuuugh! Judging your car by the color of it’s skin. Insurance companies – the only people that crunch more road safety data then traffic engineers. Your premiums are based on a plethora of “risk factors”. The risk factors are all based on probabilities (from real collision data) that you’ll make stupid decisions in your car, crash, and wind up costing the insurance company big money. So they need to make big money from you so they can pay big money for you. Got it? But what about the color of your vehicle? Are red cars really the most dangerous on the road or is it just an urban legend? 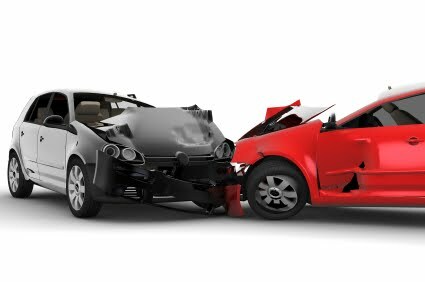 Studies have shown that red cars are involved in more accidents than their blue, green, or gold counterparts, and it is a fact that, on average, drivers of red cars pay higher car insurance rates. One car insurance company explains that color doesn’t really affect premiums – it’s the drivers of the red sports cars that pay more. Duh. But perhaps insurance companies should take another look at the numbers. Dr Stuart Newstead a researcher at Monash University Accident Research Centre has found that you really can judge a car by the color of it’s skin. His study found that gray cars have a 10 percent higher likelihood to be involved in a collision then the safer white car (that text says “white” as is colored such). Add the staggering volume of gray cars on the road, and you’ve got some concerned professionals. So the next time you go car shopping – stop and think about how the color you choose may end up costing you money and maybe even your life. Although Gary is a Venture Capitalist, in another life he’d had made an excellent traffic engineer. A traffic engineer doesn’t just see a stop sign. He (or she) see’s numbers – that, in this case, tell a story of inefficiency and waste. Gary does a great job of showing the thought process and math (easy math, at that) of how one stop sign can cost society over $2 million. If more people saw the traffic world like Gary, we’d have much less waste. No. 2cargarage.com is not my first choice. I don’t think it even cracked the top 20. But with like a gazillion blogs out there in the wold wide web, it’s incredibly difficult to find decent names. Try it yourself – you’ll see. I could have chosen roadfury.com – but it just doesn’t have the same ring to it as roadrage.com. gridlock.com sounds pretty cool though, doesn’t it? It’s tough…which I’m not…which is why I like it – obviously. So 2cargarage.com it is. Or more precisely, 2cargarage.blogspot.com. I’m ok with the name, actually. It’s my little inside joke. My little poke at the suburban dream and the congestion nightmare it casts on the millions. We’ll get to that in another post. So what’s this blog going to be all about? Well, we’ll (why do I think I now have a team working for me on this??) —- Well, I’ll be talking about those 2 little cars and what happens to them…and their drivers…when they take little trips from their safe garages out into the world. I am going to delve into the bizarre world of traffic — the drivers, the laws, the governments, the decisions, the roads, the signs, the lines, the crashes, the stats, the photos, the videos, the laws, the arguments, the suffering, the humour, the innovations, the evolution, the history, the culture…….all of it….. In addition to being fascinating to me – I hope it’s fascinating to you too. Make no mistake about it — Traffic Engineering is a dark art. It appears so simple when you’re driving your regular route to work or school…..but there are layers and layers of artness and darkness just waiting to be uncovered.